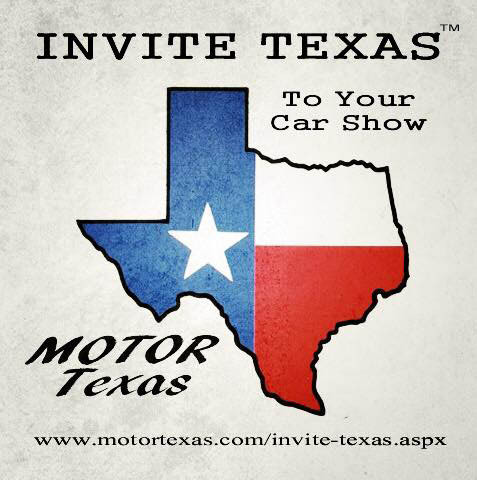 Invite Texas to Your Car Show! If you want to get the word out about your train, plane or car show then you've come to the right place! We have been listing Texas car shows and events for over a decade, starting with MOTOR Austin in 2007 and expanded statewide with MOTOR Texas in 2011. 60,000+ Page Views per MONTH gets your event noticed (Latest stats from March 2017)! Your event immediately gets the benefit of all the years (and money) we have spent to build our audience. Listing your event is FREE* for car clubs, city agencies, churches and annual events! *For businesses, we allow 1 event submission per year, per business, FREE of charge. After that, there is a 20$ fee for each additional event. About two hamburgers, fries and drinks. Well worth the price to reach THOUSANDS of Texas auto enthusiasts! Please review our submission requirements before submitting your event. Please submit event details in PLAIN TEXT within the email. Please do NOT send PDFs, Word documents or Slides. We allow 1 flier image (JPEG or PNG format) per event. No PDFs, PLEASE. Please allow us 7 days to get the event posted. Please do NOT send us JUST A LINK to your event. That means you have no respect for our time or for us. We won't add it. Please understand that we reserve the right to NOT post your event if we feel it is not appropriate for this site. Please do NOT send us a PDF file (we mentioned that above). Okay, let's get going! Here's what we need. Description - please keep it brief. Save the details for your website. In addition to MOTOR Texas, please feel free to post your event in our FB Group. Here are some of our tips for creating a good event description. Include "Rain or Shine" or a "Rain Date" in your event description. Is your event free for spectators? Say so! Make a clear a distinction between visitors and car show entries. Are there bathrooms? Is it kid friendly? Is there food? Is there shade! PLEASE! Because the Internet is full of old car show fliers, make sure to clearly post the date including the YEAR and the STATE your event is in. Just trust us on this one. It's behind the Dairy Queen. If there's one DQ on Main St., thats cool. But consider that people from other towns might need clearer directions. Make sure your website has the up-to-date information on your car show and new or revised flyers. If you have a Facebook page AND a website, please make sure that BOTH are updated. Put the link to your website on your flier. Put contact info on your flier. Fliers have a life of their own. Yes, they tend to replicate from website to website to social media. That's a good thing! So, make sure to at least have the date, year, town, a website with the up-to-date info, and most important, your contact info! If you have a multi-day festival that INCLUDES a car show, please include the day and time of the car show. You will be rewarded in heaven!